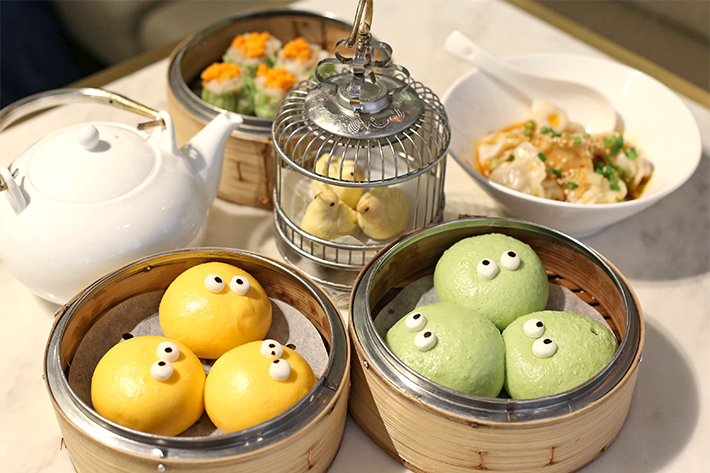 Yum Cha’s two best-selling dim sums are the Hot Custard Molten Buns (HK$49+) and Green Tea Custard Molten Buns (HK$49+). The former is stuffed with piping hot liu sha, while the latter is filled with matcha lava. No added MSG have been used to enhance these delightful treats. Both items come in a set of three and are steamed fresh upon order. 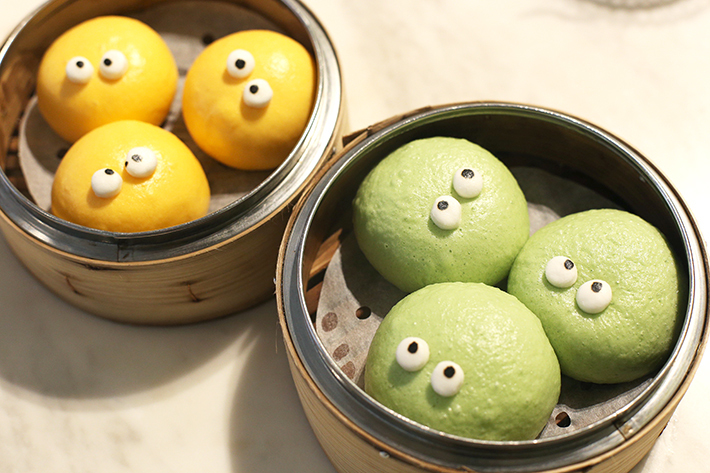 And yes, they are the iconic face buns; we almost couldn’t bear to destroy the cartoon baos! You have to eat the molten buns while they are still lukewarm. Otherwise, the lava custard might solidify. That was what happened to us. 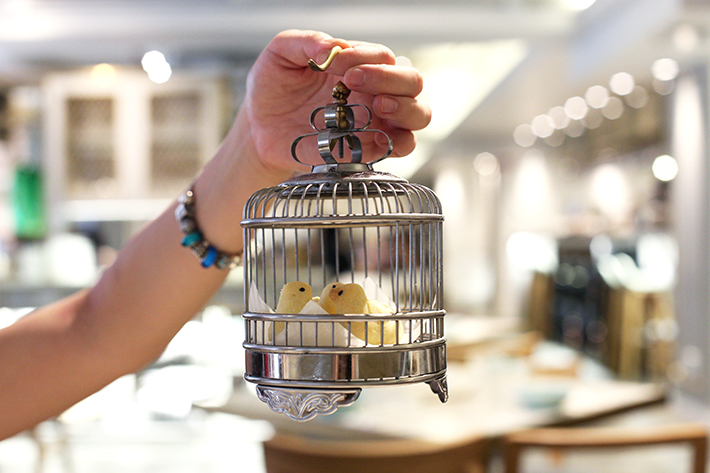 The Baked Pineapple Puffs (HK$59+) are interestingly presented in a steel birdcage – while we were excited by the novelty of its presentation, these puny crumbly baked failed to impress us with its taste and texture. The price is exorbitant for its tiny portion and we would honestly rather order other dim sums on the comprehensive menu. Sweets aside, we also enjoyed Yum Cha’s fragrant Chili Pork Dumplings (HK$59+ for six pieces) and Crab Roe & Pork Dumplings (HK$59+ for four pieces). These aromatic signature bite-size savouries pack a punch with every bite! 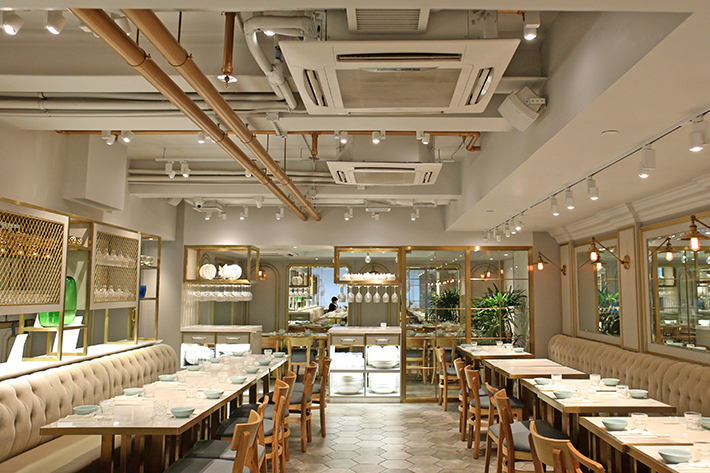 For more recommendation, read our guide on the best dim sum restaurants in Hong Kong.